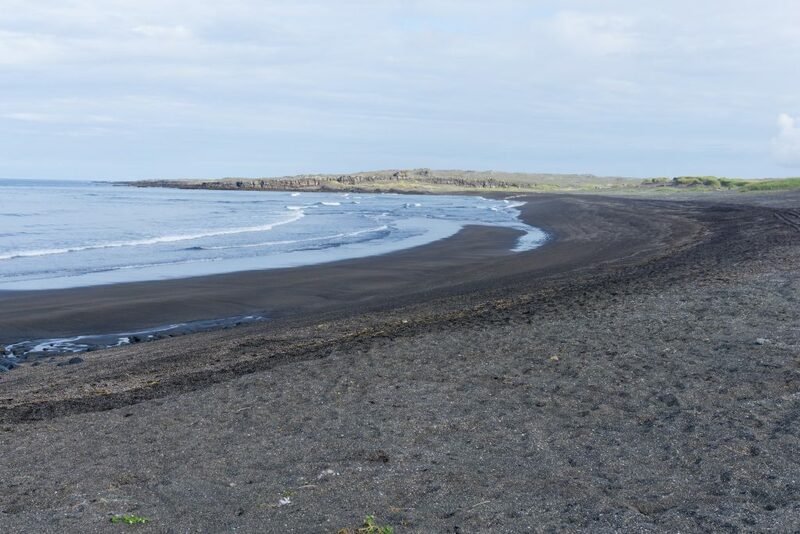 Terrain: This last stage is purely a volcanic experience with a gradually increasing amount of a black sand. Marking is relatively good. 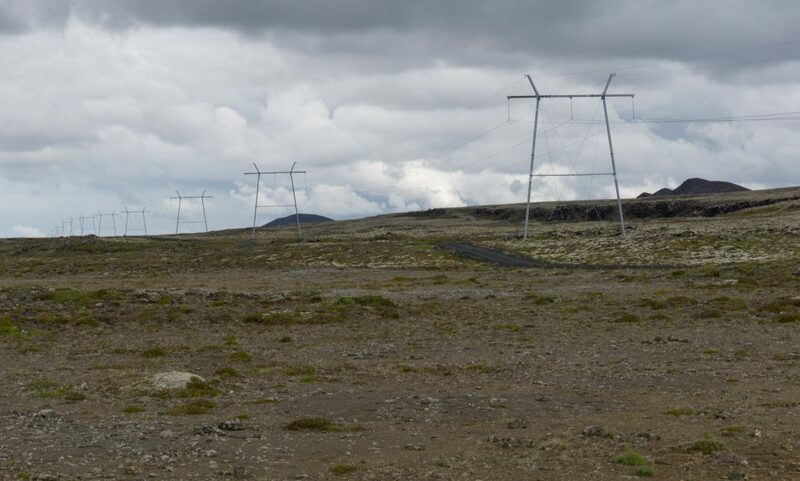 There is no water in Reykjanesviti. 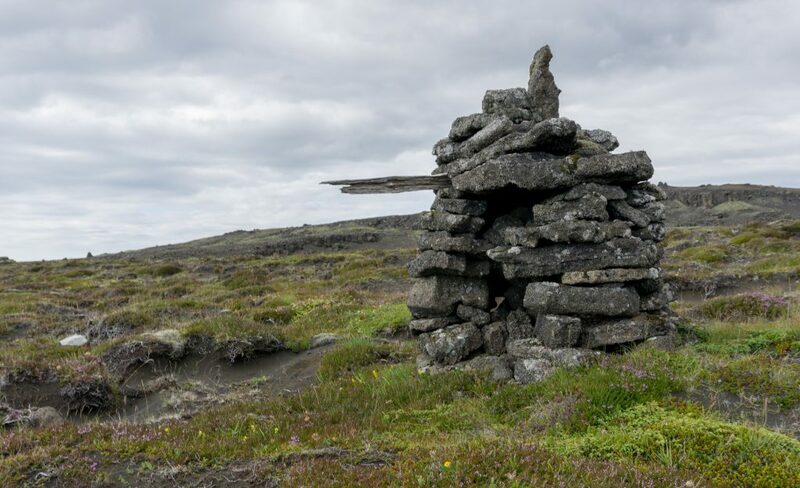 After leaving Grindavík we joined the trail on the foothills of Borbjörn. 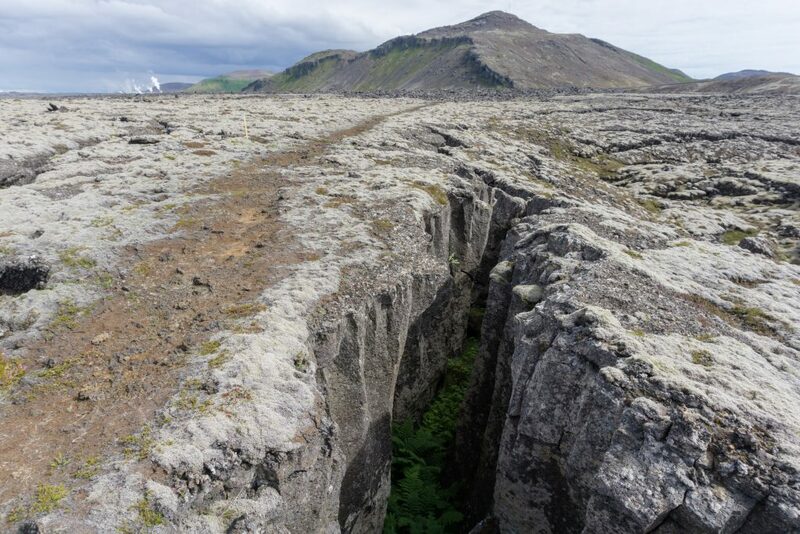 I thought that nothing about lava fields could surprise me anymore but after hopping over deep scary fissures with ferns growing in their depths, I had to admit that I was wrong. After a few hours of solid walking through lava fields we came to a lagoon by the seashore. I bathed in the ocean at the nearby beach, Sandvik, and left behind about half a kilo of dust which had stuck to my sweaty body over the last few days. We began heading south towards the end of the trail. We passed a power plant and in an hour or so came to the lighthouse at the end of the peninsular at Reykjanesviti. 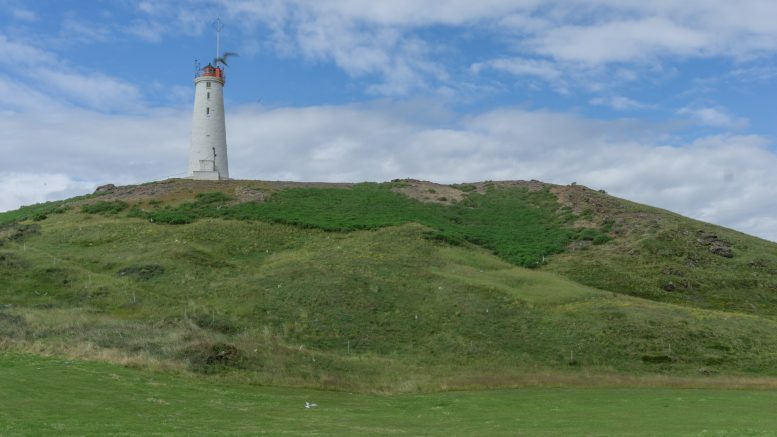 It’s an old style white painted lighthouse with a seagull colony. What a beautiful picturesque image of the end! Ocean is just behing a corner! Remember that there are no facilities or water in Reykjanesviti so make sure you don’t dry out there like a beached dolphin. I lived pretty common life for a while. I did my studies, my second studies, my third studies, my first job, my second job and my third job. I wasn’t really sure what’s going on so in 2014, I left my home country to learn about the world. I’m still not sure what’s going on but I enjoy it much more. Be the first to comment on "Reykjavegur, stage 7: Grindavík – Reykjanesviti"